The University of Texas at Austin on Friday extended its apparel contract with Nike. The new deal — 15 years, $250 million — is the biggest in the history of college sports, school officials say. 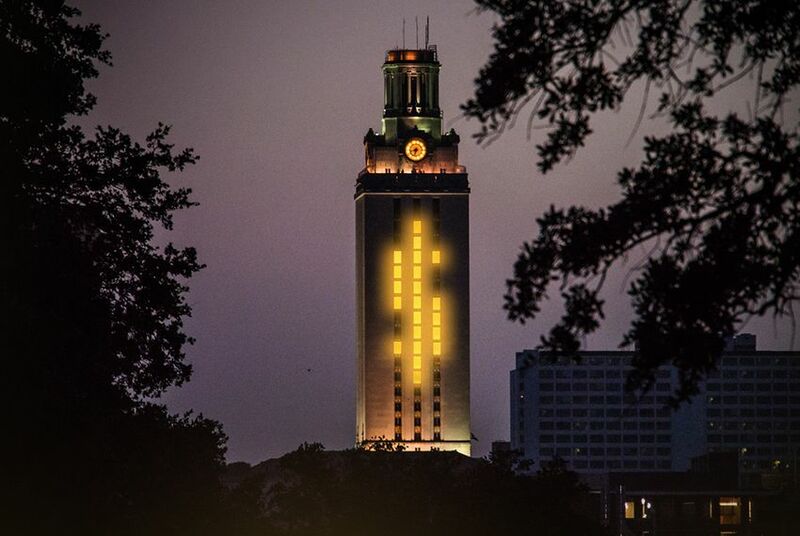 Its football team has struggled lately, but the University of Texas at Austin proved on Friday that its athletics department is still unparalleled in financial might. The UT System Board of Regents approved a new 15-year licensing and apparel agreement with Nike worth $250 million. School officials said it's the biggest contract ever signed between a school and an apparel company. The deal includes an up-front cash payment of $20 million plus annual payments of $6.5 million. Nike will also supply apparel, equipment and internships for University of Texas students. And it promises to create a signature line of apparel featuring the brands of UT-Austin and it's famous former basketball player Kevin Durant. "We view this as a tremendous opportunity for our intercollegiate athletics," said UT-Austin President Greg Fenves. UT-Austin already has a deal with Nike; the contract approved Friday will be an extension of it. Rumors had circulated that the school might reach out to other apparel companies in the hopes of starting a bidding war, but school officials said that wasn't true. The previous Nike contract had an exclusive negotiating period, and the framework of the deal was agreed to before that provision expired. Prior to Friday's deal, Nike's biggest contract was with the University of Michigan, which signed an 11-year, $169 million deal in July. The Michigan deal averaged out to a little over $15 million per year. The UT-Austin deal averages more than $16 million per year. The contract was approved unanimously by the board. Regent Wallace Hall, however, expressed some hesitation, saying he wished the negotiation had been open to other participants. Still, he suggested he was impressed by the haul. "It looks like a tremendous deal," he said.